Treat yourself to a well earned rest during your First Friday experience. 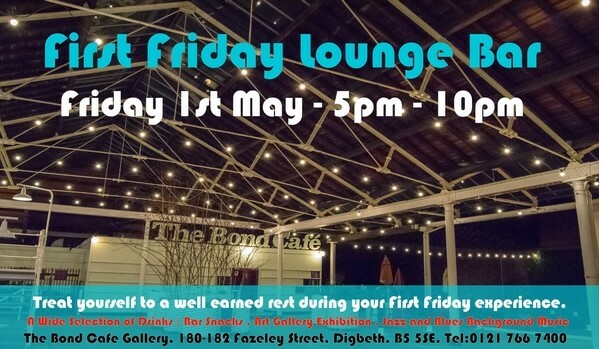 Stop off at the First Friday Lounge Bar in The Bond Café Gallery with a wide choice of drinks and bar snacks surrounded by the Gallery’s latest exhibition with Jazz and Blues tunes providing a relaxing environment. Posted in Friday 1 May 2015Tagged may 2015, the bond companyBookmark the permalink.